Avocado Mattress Review - Natural Luxury? Home » Avocado Mattress Review – Natural Luxury? Avocado Mattress Review – Natural Luxury? If you are looking for an all-natural mattress, it might be time to check out the Avocado mattress. 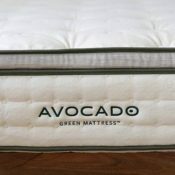 The Avocado is a popular hybrid mattress with latex and pocketed coils. In addition, you can choose to add a soft, fluffy pillow top. 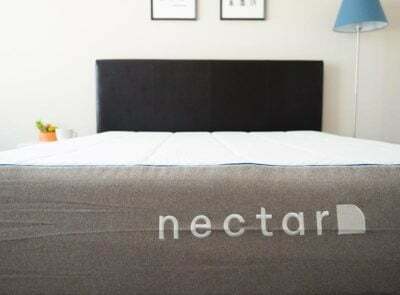 While naturally-sourced latex isn’t the most affordable, it can make for a supportive and durable mattress. Is the Avocado a good, long-term investment? Read on for my full review. Avocado is an innovative, all-natural mattress that a lot of people are going to like. Right now, you can get $150 off an Avocado by clicking the link below. You need a supportive mattress. This is a very supportive mattress so it should be able to handle sleepers of many weights. If you are larger or need extra support, the Avocado could be a great option. You are looking for a long-term investment. While the Avocado is somewhat pricey, it also contains very durable components. You might have to pay some money up front, but the mattress should last for a good while. You are a hot sleeper. One of the benefits of latex is that it is naturally cooling. When you add that together with the moisture-wicking wool on top, the Avocado should be a cooler-sleeping mattress. You shouldn’t be overheating on the Avocado. You want firmness options. Since you can choose to include the pillow top or not, you should be able to find the right fit for your sleeping position. Those who sleep on their back and side will most like prefer the pillow top. Those who sleep on their back and stomach might want to go without the pillow top. You are looking for a more affordable mattress. The Avocado is a very comfortable mattress with a lot to offer. However, it might be too expensive for some. If you opt for the pillow top, this will also add another $400 to the cost. If you want a more affordable mattress, you should look elsewhere. You like to sink into your mattress. The Avocado is a more supportive mattress with latex. Because of this, you will sleep on top of the Avocado and not sink in too far. If you prefer to sink into your mattress, you might want to opt for a memory foam mattress. You don’t like bouncy mattresses. The mattress features latex that is very bouncy and responsive. While it is very easy to move around on the mattress, this feel might not be to everyone’s liking. If you don’t like bounce in your mattress, I would look for something with slower-moving memory foam. The Avocado with the pillow top is 13” tall. The cover is made of cotton and button tufted. Inside the pillow top, there is organic wool and 2” of natural Dunlop latex. There are 2 more inches of Dunlop latex in the comfort layer and then 1” in the support layer. Finally, there are 8” of pocketed coils. The Avocado is free of harmful chemicals and is eco-friendly. You can choose to add a pillow top to your Avocado mattress. It adds another soft layer that should help with pressure relief for side sleepers. The mattress is very supportive and should be able to handle larger weights. 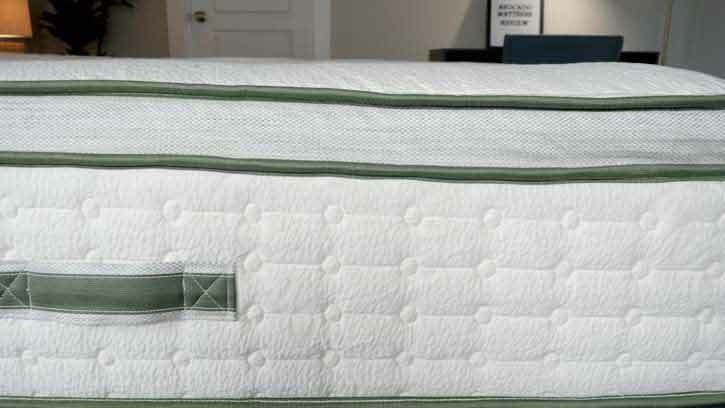 In addition, the coils are zoned so the mattress is firmer and more supportive under the heavier parts of your body. This is a very breathable mattress. The wool helps with cooling and the latex is aerated to promote airflow. The coils also allow for a good amount of airflow. You shouldn’t be sleeping hot on the Avocado. The mattress has a good balance of comfort and support. The top is fluffy and comfortable, while the latex and coils provide a good amount of support. The latex and pocketed coils give the Avocado a very bouncy feel. These materials are very responsive and quickly snap back into place. It should be easy to move around on the Avocado. Why Should You Choose The Avocado Over Other Natural Latex Mattresses? The Avocado comes with Free White Glove Delivery. 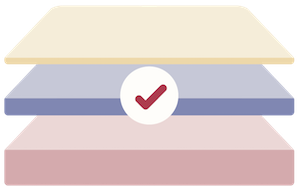 Latex mattresses can be very heavy so this is a great customer service term. Movers will set up the Avocado in your bedroom and take away all packing materials. The company offers a vegan option. While the standard pillow top Avocado features wool in its construction, you can opt for cotton instead. 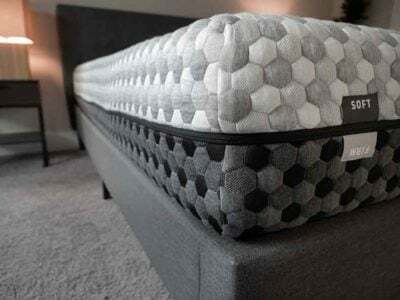 You can choose to add a pillow top to your mattress. This adds another level of plush comfort. However, if you don’t like this soft feeling, you can choose to purchase the Avocado without the pillow top. The pillow top does make this a better option for side sleepers when compared to other latex mattresses. The pillow top provides is soft and should provide nice pressure relief for many side sleepers. The Avocado feels like a 6.5/10, about average in terms of firmness. I will note that your weight might determine how the Avocado feels to you. If you are lighter, you could just soft pillow top and find the mattress to be softer. However, if you are larger, you could press further into the mattress and feel more firmness. In my experience, the Avocado feels great when I am sleeping on my back. My hips sink into that pillow top and I feel the next layers contouring to the shape of my body. I feel very nice when I move to my side. The pillow top relieves pressure on my shoulders and hips. If you are a light- or medium-weight side sleeper, you should feel comfortable side sleeping. Larger people could feel some pressure. Finally, moving to my stomach, I don’t feel the best support. My hips are bowing in somewhat. If you sleep primarily on your stomach, I would forego the pillow top. The Avocado has a latex feel and is very bouncy. You also get some of that soft pillow top plushness on top. The latex is also very responsive so it is very easy to move around on the mattress. One of the drawbacks of latex is that it is not the best at handling motion transfer. So, the motion transfer I saw on the Avocado was not surprising. I placed a glass of water on the mattress and pressed into the surrounding area. The water was clearly disturbed. Also, I asked Marten to move around on the other side of the mattress. I did feel his movements on my side. If you sleep with a partner, you might feel them on your side of the mattress. While the motion transfer isn’t great on the Avocado, this supportive latex mattress has very good edge support. Sitting down near the edge of the mattress, I feel very secure. I don’t feel like I am going to pitch forward. Also, when I am lying down on the edge of the mattress, I don’t feel like I am going to roll off. The mattress does not really collapse in either position, and there is even a reinforced edge. You can see the edge support in the photo below. Joe said it was a 6.5/10, and I thought it was closer to a 7.5/10. I think this is because I am a larger person, and I press further into the mattress than Joe did. When I am back sleeping, I feel very nice support. My hips sink in but not too far. Also, I feel good lumbar support. On my side, I feel decent pressure relief. However, I feel a bit of firmness on my shoulders and hips. When I am on my stomach, the mattress is a little too soft for me. I am bowing in at the hips. If you are a larger person and sleep on your back, the Avocado is a great option. If you sleep on your side, it could work for you. If you are a little heavier than me, I would look elsewhere. If you are looking for a mattress for heavy stomach sleepers, I would also look elsewhere. As a larger person, Marten pressed further into the mattress than I did. It is not surprising that he found it to be firmer. Like me, he felt nice on his back, but he did feel a bit more pressure when he was on his side. Also, like me, he felt the mattress was too soft on his stomach. What Makes The Avocado Stand Out? 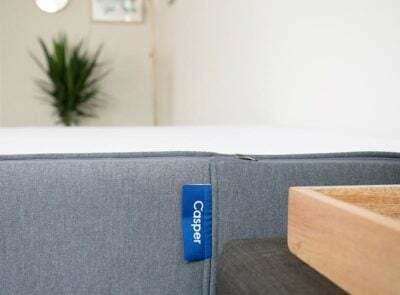 It is a great natural mattress with responsibly sourced materials. The Avocado is a very supportive mattress that should be able to handle even heavier weights. The mattress contains very durable materials so it should last for a good amount of time. This should be a good mattress for hot sleepers. It features breathable latex, moisture-wicking wool, and airflow-promoting coils. It features an optional pillow top. This means you can choose a softer or firmer mattress. The Avocado is a great natural latex mattress that should be a solid long-term investment. It is also very supportive and a great option for hot sleepers. However, heavier side sleepers and those who don’t like a bouncy mattress might want to look elsewhere. The Avocado comes with an optional pillow top, and a Vegan option is also available. The Avocado comes with Free White Glove Delivery, Free Shipping, and Returns. There is also a 100-night sleep trial and a 25-year warranty. Financing is available. My husband and I are seriously considering an Avocado, but I’m unsure because I am a side sleeper, about 5’5″ and 150 lbs, he is a stomach sleeper, about 6’0″ and 160 lbs. I’m afraid the pillowtop will be too soft for him and without it will be too firm for me. We tried a Purple original and he really disliked it. Thoughts on Avocado for us or is there a better recommendation that jumps to mind? Thanks! The pillowtop would be too soft for him and the regular would definitely be too firm for you. Something like the Saatva might be a better fit. Where can Avocada mattresses be purchased? My wife is a back sleeper and under 130 lbs, I am side sleeper, 165 lbs. We like firm beds, don’t like the memory foam sink in feel. Also big on motion isolation as I turn a lot. Narrowed our search to Sapira and Avacado solely based on your awesome reviews. Can you please help us decide between the two or is there any other mattress you recommend over these two? I’d probably go with the Sapira. 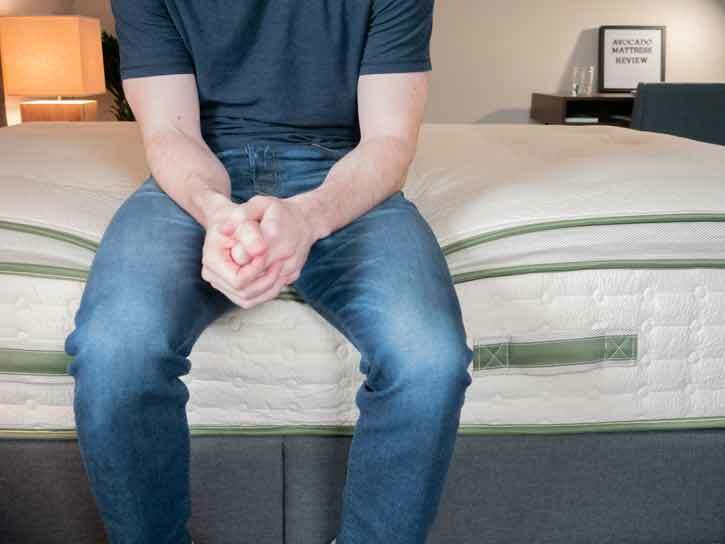 Will the Avacado or the Sapira sag after a period of time like most other mattresses seem to do? Eventually, but at a MUCH slower pace than other foam mattresses. I am 6’1″ and about 285lbs..Have tried Nectar,Loom&Leaf,Alexander Hybrid,Dream Cloud and Tuff&Needle..Gave them all 30 days and woke up with back aches on all of them and sent them back. Will the pillowtop Avocado be the one for me.Thank you. That’s hard for me to say. It should be good for back issues at least. Joe I really need a new mattress. I’m 53, 5’10” and 240lb with an assortment of back issues. I’m also a 50/50% back and side sleeper. I know CR recommends avocado as their top pick but looking at the comments is truly scary. 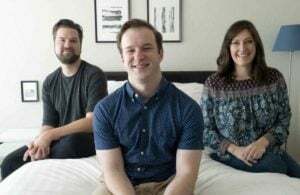 The most comfortable bed I ever laid on was a Saavy Rest latex which is a custom made bed from Charlottesville VA but outrageously priced ($6,000 last time I looked). The Purple 4 – sorry, also too expensive. I’m looking at the Winkbed as a compromise. I think the Avocado is a great mattress and should be a good fit for someone at your weight. Just know that it will be pretty bouncy because of the natural latex. What do you recommend for my 13 year old daughter who weighs a mere 80 lbs and is mostly a side sleeper? I was leaning avocado or satvaa but now wondering if they will feel too firm for her. We want an adjustable bed and are trying to decide between the avocado and the Zenhaven. Thoughts? Thanks! What do you consider LIGHTWEIGHT??? Probably 140 lbs. or lower. I am that lightweight side sleeper you refer to (100lbs, start out on either side, usually wake up on my back). I have low back pain and shoulder/upper-back pain (one side) in our 14-year old pillowtop Simmons Beautyrest Pure Alleviations I ST that has gradually gotten worse. I also have an auto-immune disorder so an organic mattress is something I’m considering….Do you think the Avocado with Pillow Top is going to be too firm for me? Yeah, I think it will be a little too firm for you. Thanks for this reply, I’m only seeing it now. We are stagnant in our progress in choosing a new mattress but I am getting desperate! Given the above, is there something else you might recommend? 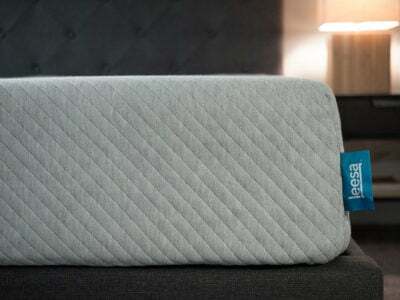 Do you have any thought on the DreamCloud Mattress? Deciding on Avacado or DC….After reading comments even the pillowtop on the avacado seems to firm…We are wanting a little more plush feel..
Go for the pillow top version of the Avocado. I am choosing a new mattress and am between the My Green Mattress (Natural Escape) and the Avocado because I want a natural mattress and they both have lower price points for natural mattresses. I’m a side sleeper, 125 pounds. Do you think either would be comfortable? Natural latex doesn’t relieve pressure as well as memory foam, but I think if you get the pillow top version of the Avocado you should find it comfortable. We purchased an Avocado mattress about 1 month ago and are still on the fence regarding it. No odor, easy to set up, well-constructed. We got the pillow top and are trying to decide if it’s still too firm for us. We previously had a memory foam mattress and I sleep hot . This mattress has solved that problem for me but my husband loved the memory foam and finds this, even with the additional top, too firm. I agree it is a little firmer than I would like. Has it softened up at all? I think you will like the Avocado! Thank you for all your concise information…very helpful! I’ve narrowed my selection down to the Saatva, Avocado or the Plushbed. One issue that I am concerned about regarding latex mattresses is the odor of the latex. I have a VERY sensitive nose and I have memories of the old latex pillows that never lost the odor. Can you comment on this? Thanks! There is no odor at all after a couple of days. Hey Joe. Thanks for all the great reviews. I’ve whittled my choice down to the WinkBed Plus and the Advocado. Below are my particulars. What would you recommend? Thanks. I think the Avocado with pillow top should be a good fit for you. Thanks, Joe. I think I’ll give The Avocado a shot. Can you say a bit more about Zenhaven vs. Avocado? CR really likes Avocado but you prefer Zenhaven. 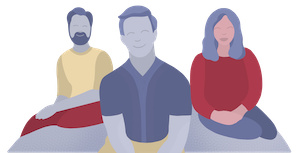 I value firmness, coolness, and support—both overall and at the edge. Not sure about bounce. I want the mattress to feel stable, but if bounce is the opposite of sinking in, maybe that’s a good thing. If you want it to feel more stable, then go for the Avocado. It sounds like it may be a better fit for you overall based on what you’ve said. This sounds like a great mattress but I may not be into quite so much bounce. What would be a mattress like Avocado but without so much bounce? After weeks of researching, I am stuck between the Avocado and the Saatva luxury firm mattress. I like them both because of the integration of coils and natural organic materials. Do you have any suggestions or maybe another brand option I might have missed? Thank you for all the information, your website has helped tremendously! Well, you should know that Saatva’s foams are not organic. They are only partially plant-based and the rest petroleum-based. If you want foam that is all-natural, Avocado is the way to go. Does this bed have an odor? I’m trying to decide between this and the loom and leaf. Looking for a bed that is good for side sleeper, good for asthma/odor sensitive, and isn’t too hot. Are there other options at this price point that I am missing? I like that avocado and loom and leaf offer white glove and I think that should help with odors too if it’s not compressed in a box. Very, very little off-gassing with the Avocado. How would you compare the avocado pillowtop to the Brentwood home mirador? We will be reviewing the Mirador pretty soon! Overall it seems like avocado has decent price for the material. I noticed it wasn’t mentioned on a best of 2017 latex mattress list. How do you feel it stacks up overall for comfort & value? Hi Jay – it was definitely a strong contender for the top list. Personally I just preferred Zenhaven and Plushbeds, but I could see someone else preferring Avocado. It’s a little nerve-wracking to order a mattress online. Avocado’s return policy sounds great, but is it the real deal? Are there hidden conditions? How long have they been in business – so will they be around in 80 days if I want to return my mattress? Thanks. I would recommend just giving them a call or talking to them on live chat. They will definitely allay any of your concerns regarding their return policy.